After discussing the event as a whole here, I thought I should talk about the high quality of the presentations from all involved. They were truly amazing. Sometimes at TeachMeets, there can be talks that are a bit weaker than others and some that might not be relevant to primary or to secondary, but at TMHants, we didn’t have this at all. As mentioned, none of our presenters had presented at a Teachmeet before and the old adage of ‘Attend a Teachmeet, present at your second’ was true for some presenters such as Charlie Deane, Jo Rhys-Jones and Jon Audain. The evening kicked off with a presentation from Hannah Knight from Horndean Infant School, Hannah avoided the fruit machine as she had to rush off early. Hannah uses a different VLE to most of Hampshire, yet this is irrelevant, the pedagogy is the important thing (as Emma Goto always tells me to say!) It is true though, there is very little difference between most VLEs and some of Hannah’s examples were amazing. I love the idea of filming ‘Guy Fawkes’ introducing a topic or Father Christmas having a VLE login so the children can interact with him. I wish Hannah could have carried on talking to really win over the VLE doubters! Horndean won a Becta Excellence Award in 2009, so please do take 5 minutes to watch the video. If you have any questions for Hannah, email me and I’ll pass them on. Ok, so Hannah was done and the fruit machine could now come in to play…I don’t remember the exact order people came on, but will do my best. Charlie Deane (@charliedeane) talked about her class blog and the power that it has had in her Y3 class. She started a blog with a bit of nagging from me and a lot of encouragement and inspiration from @oliverquinlan and his TMBett talk. Oliver’s blogs are here. Charlie talked about sharing children’s learning, improving enthusiasm and the fact that Pie Corbett himself has commented on a blog post! Not bad for a blog that is only three months old. Jon Audain (@jonaudain) was covering for Phil Bagge (@baggiepr) as Phil was unable to attend. Jon began the first of his two presentations talking about the excellent e-book site MyEBook. I first saw this a few months ago after seeing a link from @colport, his books are here. MyEbook lets you add text, pictures and sound or simply convert a pdf and it makes a whizzy little e-book for your children or parents to look at. Why not upload children’s writing or create a school prospectus? Check out Jon’s examples or Phil’s examples. As Jon said, his children’s writing has been seen by 8000 people, truly powerful stuff! Then came one of my highlights, no sooner had Jon got back to his table, the random fruit machine called him up again! Jon then went on to talk about art packages and about the simplicity of Sumo Paint. He showed how he used Sumo as part of his Superhero topic, he then wowed us with his artistic ability and created a house which he quickly changed perspective on to make a tiled effect and this could quite easily have been from another planet. Sumo is a great package, why buy anything else when this one is free?? He also talked about the ‘create a Martian’ app he’s been playing with on his ipod touch and how the children used this to give their superhero an enemy. Jon’s presentation is available here. Emma Goto (@emmagoto) talked about the power of using Bird Boxes to enhance her KS1 classroom. Full details of the Bird Box project can be found here. Emma discussed the impact that the birds had on the children’s writing and showed a 4 year old’s writing which had sentences, lots of words spelt correctly and full stops. Very good indeed! But nothing can top the excitement of your birdbox getting some visitors and being able to watch them online. This is something well worth looking in to and I will definitely be doing this in my school next year. As mentioned in my previous post, I was starting to worry as a few presenters pulled out for various reasons. So I called on Twitter and asked the excellent Pete Richardson (@primarypete_) if he had time to knock together a video for us. On the night, we didn’t ‘need’ his video as time was running along nicely, but I couldn’t ask for something and then ignore it, so we showed it. And Malcolm became a star. During my presentation I talked about the use of social bookmarking. I was shown this by Kristian Still a couple of years ago and then did nothing with it until last year. Why save your bookmarks on different PCs? Why write down your favourite websites on a notepad? Why not share them? Delicious lets you share websites. We have started an account that I hope will become a Hampshire-wide account, but who knows. For now, there are about 250 websites that might be useful. Check it out here and my previous blog post about it here. Kristian still (@kstill) showed how Xtranormal can be used within the classroom. His class were talking about the use of multimedia (we were told “that’s when there are multiple different media used in one go”) and explained this using movies created in Xtranormal. This could be used for a wide-range of different curriculum areas and you could see people excited by the potential. This is the great thing about TeachMeet, I’d heard of it before, but never really seen it. Now I want to go and play! Paul Emecz (@emecz) discussed using Studywiz galleries for assessment, discussion and as a general collaborative tool. I understand that this may have alienated some of the attendees, but most of them use Studywiz and some of the principles could be transferred to just using pictures. Some of the pictures showed difficult images and allowing the children to discuss these can be very powerful. As we have mentioned many times on studywiz training, the gallery is by far the best tool. So many uses and so easy to set up! Philip Griffin (@pilgram) joined us from Reading to discuss using handheld mobile devices in the classroom. The children were using Nokia tablets to aid their writing. Unfortunately the devices they were using are no longer available, but the principle is the same with others and I know some schools are using ipod touches and similar. The quality of their writing was very good and they obviously enjoyed using them! Helen Caldwell (@helencvital) from our sponsors Vital, talked about the power of green-screening in primary. I have to admit that I was too busy looking at the amazing effects to take note of the software used. I have sent Helen a message and will update this when I find out. The green-screening allowed you to take pictures of children and then change the background from a green screen to another world or a dinosaur or whatever your imagination will allow! This seemed good and people were happy, but then Helen showed the video and jaws dropped. How about changing the background for a whole sequence of animation? We watched as a child swam under the sea. Truly amazing and I wish I paid more attention of how to do it rather than just staring at the screen. Voicethread is mentioned a lot and I must admit rather sheepishly, I have never played with it. Jo Rhys-Jones (@jowinchester) showed how to use it and I loved it. Voicethread allows you to upload a stimulus such as a piece of writing or artwork and then to add a commentary around it. Jo’s example is here and she has her children discussing a piece of art. She also showed using different languages to commentate on the screen. I must find some time to go and play with it! For more examples, check out Pete’s blog here or David Mitchell’s (@deputymitchell) blog here. Another tool I’ve seen but am still yet to play with, is Scratch. this lets you create games, move characters around and really bring some excitement to your Control lessons. I know a lot of primary schools use Flowol, but why not throw in some Scratch? Fred Crowson (@fcbsd) showed some possibilities of its use, including animating a basketball move to show in PE when discussing tactics! Fantastic idea! One idea that came from the video stream was using Scratch to create a ‘Going on a Bear Hunt’ game in KS1. From Simon Haughton (@simonhaughton) – here. Like I said, these were all truly amazing presentations by some wonderful, inspiring teachers. I would like to thank them all again and hope that they will present next time…or better yet, some of the non-presenters from tmhants will get up instead! Thanks for doing that Ian. The Teachmeet must have been a lot of work but it seems to have been really successful. The blog entry is great for people who live too far away to have attended, and I’ve enjoyed looking at all of the links you’ve provided. It has certainly got my grey matter thinking about what else we can do to use ICT in our school. It was a great online Teachmeet for those of us who could not attend even if it did go head to head with another teachmeet, #bmoble. Next time I hope to come along. This is now a yearly fixture Ian! Looking forward to it in 2011. Thanks for bringing it all together Ian. I attempted t o watch both TMs and arrived home late from work so caught a bit more of the Soton one. 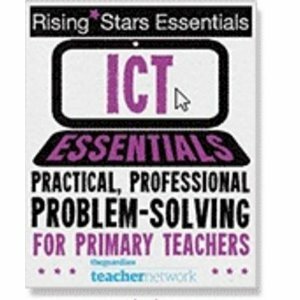 Well done and back-slaps all round I say – best CPD available… ever. I enjoyed the whole evening, even presenting, although having inadvertantly included timings on the PowerPoint left me rushing through the last bit. I had wanted to say more about the need to be involved in the development of learning platforms. I have no particular commitment to Studywiz – we run Moodle and SharePoint too, and I still use SharePoint for wikis and surveys. Studywiz has proved more effective at involving a wider number of staff, but the tests (assessments – the multi-choice questions etc.) are not as easy as ClassServer tests were. I wanted to say that if others had experience of better VLEs, we should share them, and if Studywiz was as good as it gets, we should improve it! I would love to have seen someone else show me what they do with their VLE – how about a TeachMeet just on VLEs to help people decide what they want for the future? I hear Dorset have fallen in love with SharePoint 2010, but what are ordinary teachers actually doing with it? Looks like TeachMeet Hampshire was a great event – sorry I missed it. Is there one planned for 2011? Would love to attend.